So when you think about the wines of the Finger Lakes, do you automatically think of Riesling? Of course, the region is most famous for its white wines, and now the producers here are receiving increasing acclaim for their red varietals as well. The review of Chateau Lafayette Reneau stands out for the winery’s distinction as having a reputation for elegant wine and could be one to look to for more quality reds in the future. Overall, this is real progress for the region, on its way to establishing a solid presence within the top consumer wine publications that are so often looked to for a stamp of approval, both by wine consumers, distributors and those in the direct-to-trade circuit. Several wines from Long Island were also included and rated at 86. 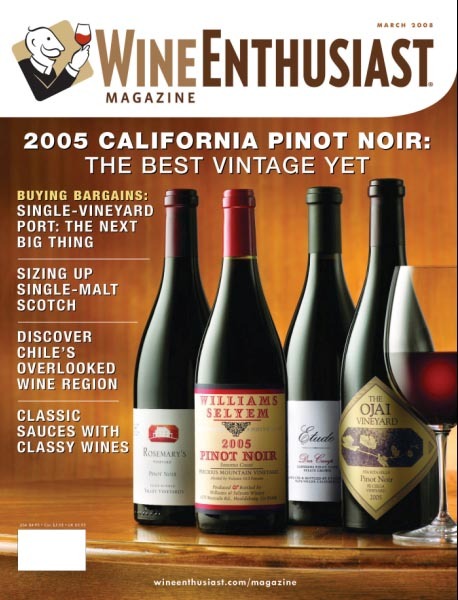 Bully Hill NV Ravat 51 received a rating of 84 and designation as a Wine Enthusiast Best Buy. Happy Friday! A few news notes for you. The International Riesling Foundation has announced the creation of a program to help consumers in their selection of Rieslings by taste profile. There are four very simple graphic options listed on the back label, point-of sale materials and other promotional items to provide a guide for consumers. The graphics indicate where on a scale the taste profile of the bottle of Riesling falls, from Dry to Sweet. With demand for Riesling growing steadily, producers have found that one of the roadblocks toward an even greater demand for the white wine varietal is that many consumers believe that Rieslings are all sweet in taste. There has been some skepticism of the effort from what I’ve heard, but I think there is value in the scale for those who are new to Riesling or marginal drinkers (those who drink wine once or twice a month at most) who may be looking for additional guidance. If you share in the frustration over navigating compliance issues, here’s a link to a vendor solution that you may find helpful. Seneca Lake Wine Trail’s YouTube channel has just posted a new video featuring fun, playful interviews with winemakers from Hazlitt Vineyards 1852, Anthony Road and Seneca Shore wineries. That will do it , have a great weekend until next week! the wines of Long Island, The Finger Lakes and the Hudson Valley paired with Greenmarket dishes from Manhattan restaurants such as Back Forty and Republic. As a former frequenter of the Union Square Market on Saturdays, I think this is a tremendous opportunity for the wines of the Finger Lakes and throughout New York to get in front of the foodies/winelovers of Manhattan who are already interested in the locavore movement, so “locapouring” seems to be the next logical step…and a boost for creating a trend toward drinking local wines. I’ll be keeping a close eye on New York Winestand, and applaud this effort to continue to highlight our local New York wines. If you find yourself in the area on a Friday afternoon, be sure to stop by.